Your privacy is important to us. OrthodontiePourTous.com has prepared these privacy and security policies (« Statement ») so you may better understand how From theOrthodontiePourTous.com (« our Website ») may use your personal information in connection with our Website and services, as well as how it protects your information against unauthorized use. Please take the time to review this Statement and contact us with any questions or concerns. 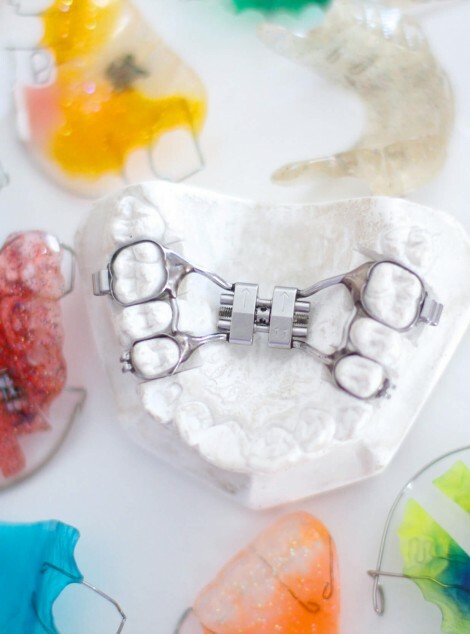 OrthodontiePourTous.com may ask you to register and provide personal information in certain instances, such as when you choose to personalize your use of our Website for environmental interest, when you ask a question of our experts, or when you contact our customer support group. Personally identifiable information that we may collect includes your name, e-mail address, and address. From the OrthodontiePourTous.com may also collect demographic information such as your age, gender, zip code, and interests. If you choose not to register, you can still use most of our Website. But you won’t have full access to our user-generated video and blogging channels. OrthodontiePourTous.com does not knowingly collect personally identifiable information from users under the age of 13. If we find out that we have such personal information, we will take reasonable steps to delete it. OrthodontiePourTous.com tracks navigational data (log files, server logs, click-stream) and information about how our Website is used by you (through cookies, Internet tags, or web beacons). We also collect information such as the URL of the Website you previously visited and the time of day that you use our Website.OrthodontiePourTous.com also keeps track of the pages you visit within our Website as well as any transaction details (downloads, orders, requests, or referrals). You can set your browser to notify you when a cookie is sent, or to refuse or delete cookies altogether, but in such cases certain features of our Website might not function as expected. OrthodontiePourTous.com collects, integrates, and uses your personal information to help enhance and personalize your use of our Website and the services that we may offer. This information also allows us to provide you with targeted content, information, and advertising (on our Website, in newsletters, via e-mail, etc.). We also use anonymous and aggregated data to create statistics and reports for various business purposes. We may aggregate anonymous data and share it with our advertisers or FOrthodontiePourTous.com partners in order to offer you potentially desirable products and services. OrthodontiePourTous.com may also use your information to communicate via our newsletters, but only after you give your express permission for such communication. The exception is the case of « service e-mails, » which we use to communicate with you regarding the system itself or your use of the system. Examples include: communication around system downtimes, announcements regarding the launch of new services, responses to customer service enquires, and messages regarding the completion of transactions you have initiated. Certain of our employees and independent contractors have access to your personally identifiable information for the sole purpose of helping us run our business. These employees and contractors have confidentiality and security obligations. We may disclose your personally identifiable information in the event that we sell this Website or substantial parts of our business, provided that the buyer agrees to comply with this Statement. We may share your information with affiliated companies or strategic alliance partners, provided they comply with this Statement. Although we do not provide your personally identifiable information to our advertising customers and ad networks, we do aggregate and supply them with anonymous data (for example, « 5,000 members of OrthodontiePourTous.com say that global warming is their top environmental concern »). We may also share your personally identifiable information to respond to law enforcement requests, court orders, or other legal processes; or if we believe that such disclosure is necessary to investigate, prevent, or respond to illegal activities, fraud, physical threats to you or others; or as otherwise required by any applicable law or regulation. In the event that we disclose your personally identifiable information as set forth above, we will require third party organizations to protect and maintain your personally identifiable information in compliance with the terms and conditions of this Statement. OrthodontiePourTous.com offers its users choices for the collection, use, and sharing of personally identifiable information at the time a user decides to register. In addition, users may stop the delivery of future communications OrthodontiePourTous.com by unsubscribing at any time. For instance, each e-mail you receive (aside from “service e-mails”) contain instructions explaining how to stop receiving such e-mails. If your personally identifiable information changes (such as zip code, phone, or e-mail or postal address), or if you no longer desire our service, we provide a way for you to correct, update, or delete/deactivate your personally identifiable information. This can be done by visiting your account page on our Website or by e-mailing our Customer Support service at contact@orthodontiepourtous.com. 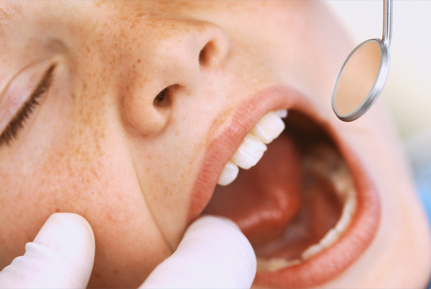 OrthodontiePourTous.com is committed to protecting the security of your personal information. We use a variety of up-to date security technologies and procedures to help protect your personal information from unauthorized access, use, or disclosure. For example, we store any personal information you provide on computer systems with limited access. These systems are located in controlled facilities. When we transmit highly confidential information over the Internet, we protect it through the use of encryption, such as the Secure Socket Layer (SSL) protocol. We may periodically update this Statement to reflect changes in our services and policies. When we post changes to this Statement, we will revise the « last updated » date at the top of this Statement. If there are material changes to the Statement or in howOrthodontiePourTous.com will use your personal information, we will notify you either by posting a prominent notice prior to implementing the change or by sending you a direct notification. We encourage you to periodically review this Statement to be informed of how we are protecting your information. If you have questions or complaints regarding this Statement, you should first write us at contact@orthodontiepourtous.com with any questions or concerns. All customer requests will be formally reviewed by our staff.